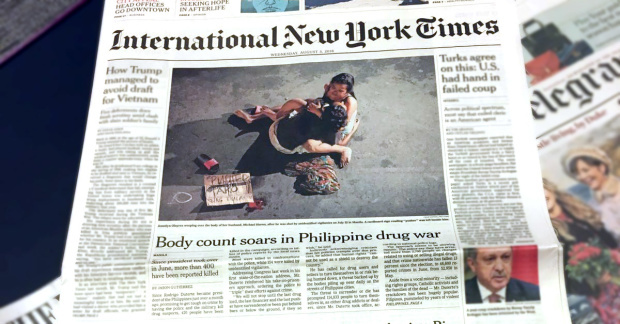 Last week, widespread alarm amongst drug policy reform and human rights advocates around the world at the rapidly rising number of extrajudicial killings in the name of a war on drugs in the Philippines led to a strong push for UN authorities on drug control to intervene. On 2 August 2016, open letters signed by over 370 NGOs were sent by the International Drug Policy Consortium to the President of the International Narcotics Control Board (INCB) and the Executive Director of the UN Office on Drugs and Crime (UNODC), and publicised via a press release. The response from media was swift, with coverage from both major international media outlets including the Guardian, Huffington Post and Time, and local outlets in the Philippines such as the Inquirer, seemingly spurred by a Human Rights Watch (a signatory to the letters) blog-post soon after the embargo on the media release was lifted. The open letters also featured on the front page of the New York Times in a story chronicling the atrocities. The IDPC secretariat team responded to interview requests from the BBC, and ABS-CBN and CNN in the Philippines. Within twenty-four hours of the letters being sent, the previously silent INCB and the UNODC released statements condemning the extrajudicial killings – these were the strongest statements of this nature that the UN drug control agencies have ever released. The swift UN responses generated further media attention, including by several outlets in the Philippines. With President Duterte enjoying huge popularity as he begins his six-year term, comments in response to media articles show strong support for his policies. There are however, some high-level opponents to the extrajudicial killings, speaking out alongside other voices such as church leaders and civil society groups, from Vice President Leni Robredo to Senators Risa Hontiveros and Leila De Lima, who have all called for respect for human rights such as due process and presumption of innocence. Going forward, international pressure calling for a stop to the killings and incitements to kill from the President and government officials needs to be sustained. Attention also needs to be given to other horrendous impacts of Duterte’s war on drugs, particularly proposals to reinstate the death penalty, the crisis of overcrowded prisons and rehabilitation plans for the over 100,000 people who have surrendered to authorities on account of drug use, including proposals to use military camps. Take part in campaigns already launched, including by Amnesty International and jointly by INPUD and ANPUD calling for letters to be sent to embassies of the Philippines around the world. Ask your government, for example the foreign affairs department and drug control agency, if it can raise concerns over these atrocities on a bilateral basis and also in international forums such as the UN’s human rights committees. For example, questions have been raised over the US government’s funding assistance relating to drug control for the Philippines. Maintain attention to this issue via media and social media channels.